Birthday banners are perfect to let your loved ones know how much you love them. The celebrant will feel special knowing that you made an effort to make a birthday banner for them, if they have a good picture of themselves in the banner that is an additional point. Birthday banners are widely used in many places because it also serves as decoration to the event. Vinyl birthday banners are mostly used for outdoor venues because they are the most durable and most likely to hold up under extreme outdoor conditions. Scrim vinyl uses both vertical and horizontal fibres to provide maximum strength and durability under any conditions. A layer of polyester fabric is laminated in a double layer of clear vinyl, providing maximum protection for the design. The fabric layer also makes the banner flexible in breezy conditions. Scrim vinyl is inexpensive but it also has a tendency to curl. Flat vinyl on the other hand is another type of vinyl that is less likely to curl and is good for applications requiring close-up reading. Flat vinyl offers nice colour saturation but is not suitable for large banners hung with grommets. Another type is mesh vinyl where mesh holes allows breeze to pass through and keeps the banner in place in the windiest conditions. However, the drawback of this type of vinyl is that it allows light to penetrate making it not ideal in situations that utilize backlighting. Depending on the venue of the party, birthday banners can range from two feet by four feet and four feet by eight feet. Birthday banners also come in standard sizes to fit a variety of banner stands. However, banners can be custom made to fit a variety of settings and venue. 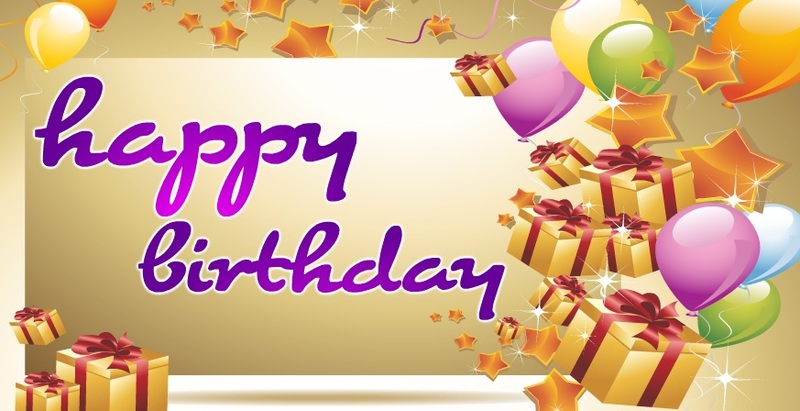 Many banner making sites like bannerstandca.com offers all kinds of birthday banners that will suit your venue. They also offer customize templates and designs so your banner will be unique and one of its kind. For best result, measure the size of the area where you want to place your banner then discuss the possibilities with the printer. In addition to the setting for the banner, consider the size of your lettering and images when determining the overall scope of your banner. Generally speaking, multiply the height of your letters by 10 feet to determine the maximum comfortable viewing distance for your banner. A good birthday banner will not only make the celebrant happy but will also give a happy vibes to the venue. A party with colourful banners will look very appealing and entertaining to the guest especially if the designs are good. It will not only make a memorable party but the celebrant will also feel proud of her banner and that is a gift that no amount of money can buy.